While doing research for the upcoming PM+UX Conference, several respondents requested guidance around how user research should managed. In fact, it was the most common write-in answer on our survey, and a question that comes up repeatedly whenever I give talks. Apparently, there seems to be very little consensus about who on a product team should own research. This makes it a lot harder to get user insights and make good product decisions. In a way, this is good news. Five or ten years ago, there would have been more questions like, “How do I get my boss to consider doing user research?” and “What is user research good for?” Those still come up, but far more frequently, I’m hearing things like, “How do we make sure that everybody on the team understands the research?” and “Who is in charge of making sure research happens and deciding what to do about it?” Research, these days, is assumed. It’s just not very well managed. To answer these questions, I interviewed several very smart people who know a thing or two about research and building products. I’ll share some of their suggestions in a series of blog posts. First, I spoke with Jeff Gothelf, the author of Lean UX (O’Reilly, 2013) and Sense and Respond (Harvard, 2016). 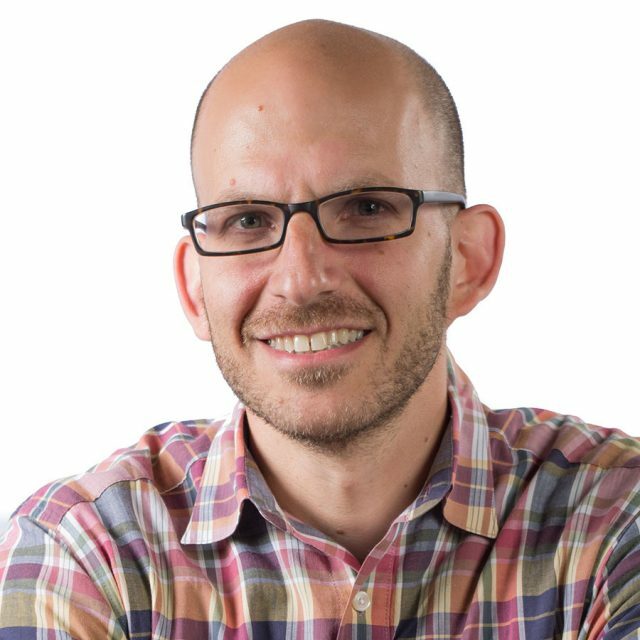 Jeff spends most of his time training companies around the world on how to build usable products using Lean user experience design techniques. He’s seen his share of different organizations, and has an excellent sense of which ones are building the right things. So I asked him to help me figure out the best way to incorporate user research into the development process. In this model, the person responsible for making sure that the research happens doesn’t own performing or communicating the research. What this means is that the product manager or UX designer will request that some specific research will be done. Unfortunately, this often translates into the PM asking for research and a researcher who is completely unaffiliated with the team or even hired from outside going off and interviewing users and then coming back six weeks later with a report, by which time the team has almost certainly moved on. This generally means that the results of the study will never be used by the team, since the results will be out of date and irrelevant. Rather than seeing research as something that is simply requested by someone on the team and then delivered, Jeff suggests a more collaborative approach. The best case involves the PM or UX designer sharing a specific business or user need that requires some research, and then having that turn into a shared activity where members of the team are involved in performing the research. “I’ve found it rare that a team can’t execute their own research,” Jeff says. When teams bring outside people in to conduct studies and simply hand off results, they’re missing out on a huge opportunity to build skills within the team. Outsourced studies, even relatively simple ones, can cost thousands of dollars. If you’re making that budget decision every time you want to learn something, it’s going to keep you from doing all the research you should be doing. On the other hand, if members of your team can find ways to learn constantly from users, that price comes down considerably, as does the time it takes to run a study. There are a lot of options for getting your team up to speed: outside experts can come in and facilitate training sessions or work with the team to do the research rather than perform everything for them. Jeff also recommends Steve Portigal’s book, Interviewing Users, Giff Constable’s Book, Talking to Humans, and my own book (Thanks, Jeff! ), UX for Lean Startups. Cross functional teams make many Lean UX practices possible. It’s easier to have “the team” be responsible for customer discovery if the team exists as a persistent entity throughout the life of the product. But the reality is that many companies still don’t work that way. Research, product, design, and engineering are often in their own silos, communicating only through deliverables, if at all. The best approach is to get rid of silos entirely, but very few of us have the option to restructure how our companies work in order to make research more effective. If you’re in an organization where research has its own silo, Jeff has several suggestions for making those silos less restrictive. “Brown bags, demos, ride-alongs, workshops – these are all good tools to show how to do research and what to make of your findings,” he explains. “At the same time, the PM/UX folks should seek this out from their researcher colleagues if it’s not offered up.” Even when your company is divided up by practice instead of by product team, there’s no reason why you can’t reach out to other people working on similar things and build bridges between the silos. Learning what other people do and how to do it and teaching them what you do and how you do it can be a wonderful way of creating respect and unity within the team. It has the added bonus of making the product better because everybody ends up working together rather than stepping all over each other and ignoring real customer needs. Interested in helping your teams collaborate to create better research outcomes? Check out Jeff’s book Lean UX (O’Reily, 2013) or join us this October for a one-day remote conference User Research for Everyone, featuring 8 of the most respected experts in the field. Laura Klein is a Lean UX and Research expert in Silicon Valley who teaches companies how to get to know their users and build products people will love. She’s a Rosenfeld Media expert and author of UX for Lean Startups (O’Reilly). Her newest book, Build Better Products, is set for release later in 2016. Follow her on Twitter or subscribe to her blog and podcast at Users Know.